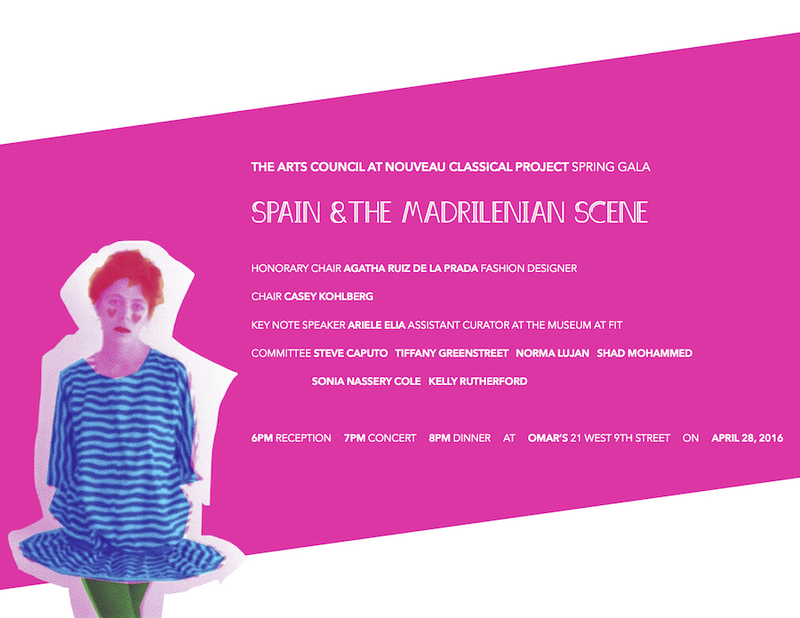 Spring 2016 will be The Arts Council’s Opening Gala and will celebrate the 35th anniversary of El Concierto de Primavera, a historical concert that gathered fifteen thousand people on May 23, 1981 at the Superior Technical School of Architecture of Madrid in Madrid, Spain. People danced into the resurrection of the economy in Spain and the emergence of a new Spanish Identity which produced a countercultural movement called La Movida Madrileña (The Madrilenian Scene). Guests will take home gifts by Agatha Ruiz de la Prada!